While I stayed with you recently, a frequent visitor to Presbyterian Village dropped by with his little Dachshund. Peaches moved slowly and had a graying muzzle, and you patted her like you two were old friends. After they left, we talked about dogs, and I reminded you about how you always fixed extra oatmeal on cold mornings because dogs needed warm tummies, too. 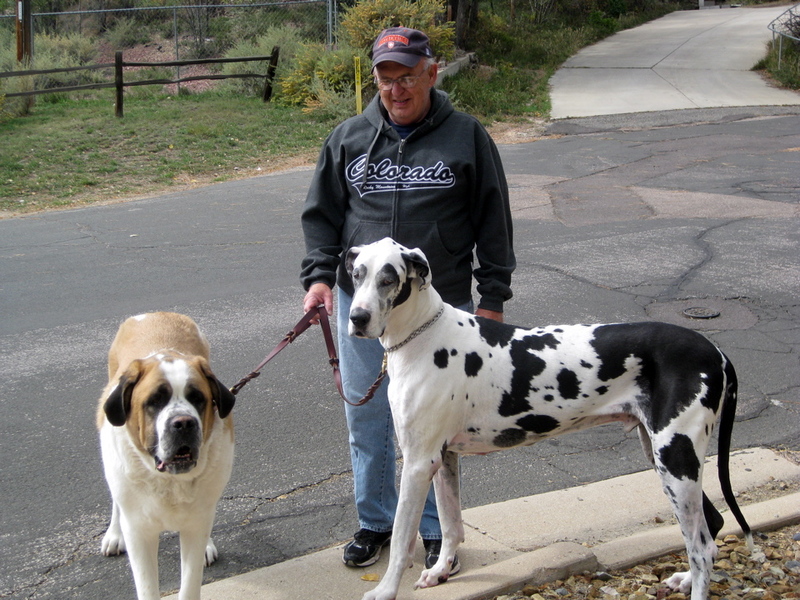 I told you about a man in Colorado Springs who walks his two huge rescue dogs in our neighborhood each day, and the greyhound that we took your great-grandchildren to visit at the Greyhound Hall of Fame in Abilene. 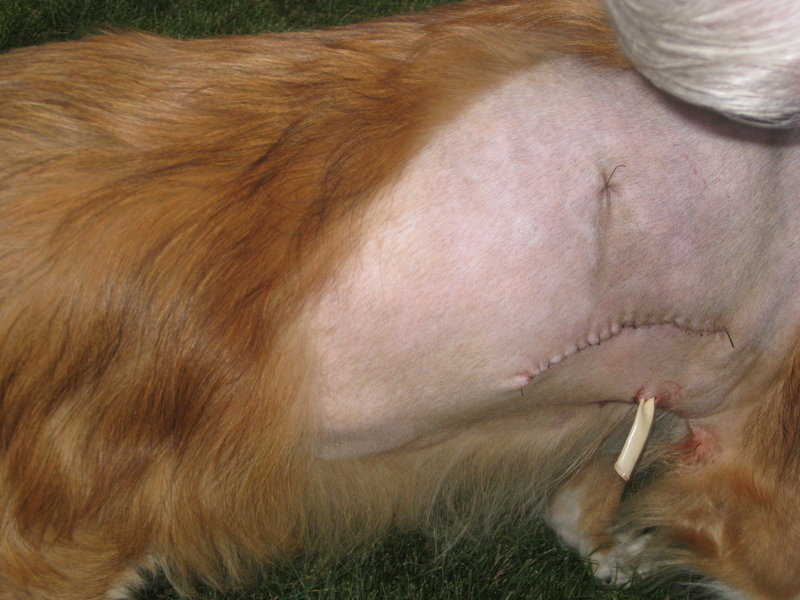 When I reminded you of our dog, Maggie, who cheered up Dad when he was alive, I was careful to describe her recent surgery that left a line of stitches on both sides of her body where benign fatty tumors had been removed. I didn’t tell you that one tumor was so large that for a week after the surgery she had a shunt in her side for draining the fluids. 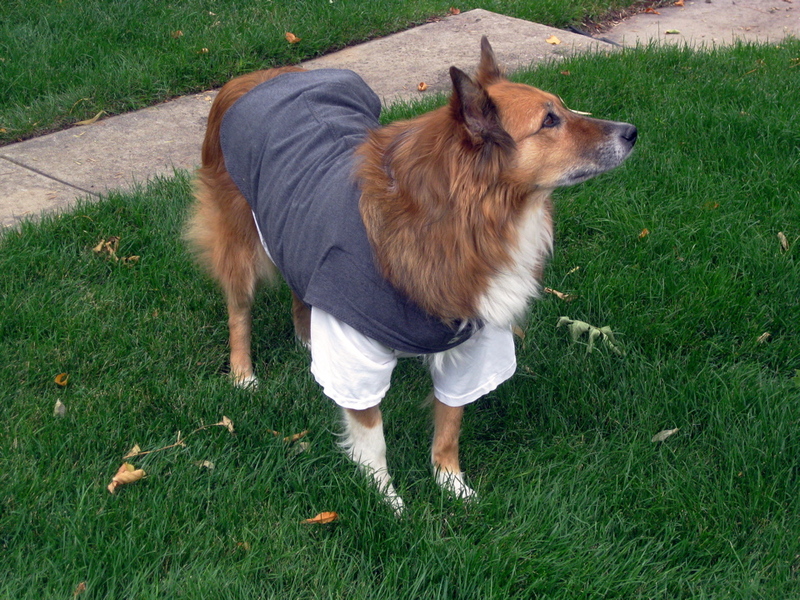 Instead, I showed you only the cute picture of her clad in Jim’s old tee-shirt with her Thunder Shirt over that to keep her from scratching at the sutures. I said Maggie looked like a parochial third grader in her school uniform, and you laughed. On your shelves you had a book of quotations, and I looked up dog quotes. Gene Hill wrote: “Whoever said you can’t buy Happiness forgot little puppies,” and you said you grew up with cute puppies. I read more quotes, and the one you nodded and smiled at was by author Edith Wharton, who was also one of the first founders of the ASPCA. Wharton said, “My little dogs…heartbeats at my feet.” Will Rogers wrote, “If there are no dogs in Heaven, then when I die I want to go where they went.” I said Dad was probably enjoying all our family’s dogs and cats and pets in Heaven, and you agreed. I also didn’t read aloud this one by Gordon Korman: “The dog always dies. Go to the library and pick out a book with an award sticker and a dog on the cover. Trust me, that dog is going down.” But Gordon Korman is also the author of No More Dead Dogs. Hmmm. I’ll check it out. It might be a good book for me to bring and read to you. 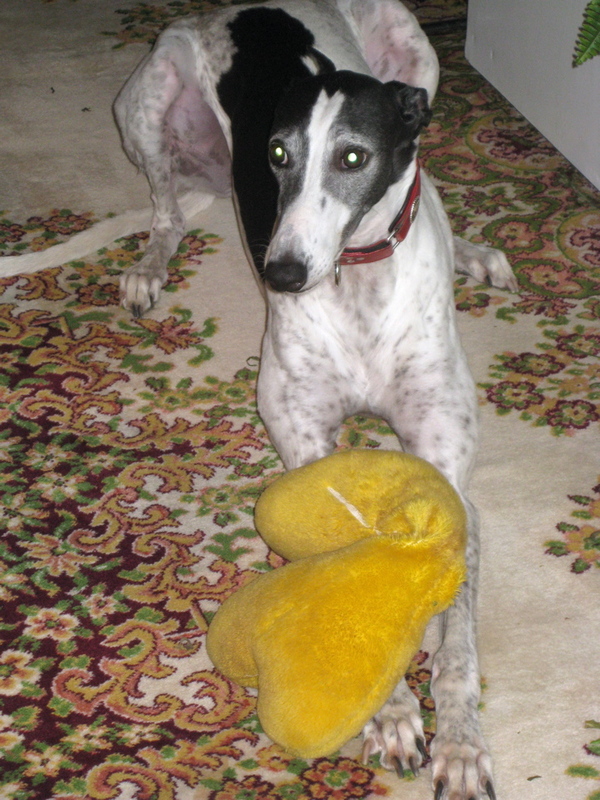 Maggie with shunt in side after surgery. Probably not good for showing to young children or old great-grandmothers.